Probiotics are live 'good' bacteria that can be taken to improve the balance of gut flora to promote better health and well being. Probiotic supplements are commonly taken to help with digestive conditions like irritable bowel syndrome (IBS) or just for general wellness. The amount of healthy bacteria in the gut can be depleted by poor diet, ageing, illness or use of antibiotics. Taking probiotic supplements can help restore the balance of bacteria in the gut back in favour of good rather than bad bacteria. For many years probiotics have been an added ingredient in yogurts but some studies have suggested that the amounts and quality of probiotics used have been of too poor a level to have the advertised health benefits. Likewise, many first generation probiotic supplements were underdosed and ineffective. Beware the very cheap probiotics that are widely available in healthstores - they are cheap for a reason. 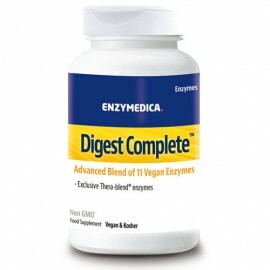 We carry only the most effective, potent probiotic supplements available to us.